Until about 1970, kidney failure meant death. When the kidneys stop functioning, harmful wastes build up in the body, blood pressure rises, and excess fluid may be retained, sometimes causing heart failure. As discussed in Chapter 1, the kidneys perform so many complex functions that in the past it was difficult for the medical community to treat kidney failure. 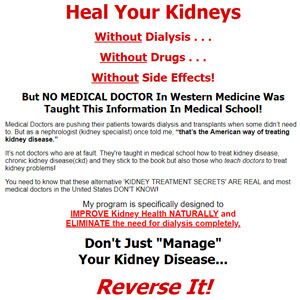 Now there are three ways to treat kidney failure: dialysis, transplantation, and diet. None of these choices, however, is an ideal solution. It must be recognized . . . that dialysis and transplantation represent the epitome of what [Lewis] Thomas has dubbed "half-way technology"—methods, only modestly satisfactory, that place great demands on time and resources that are needed only because we are as yet unable to come to grips directly with the processes underlying the diseases that destroy the kidneys and make end-stage disease a reality to be dealt with. This burden will be reduced only when we have improved our understanding of the initiating factors in chronic renal disease and the nature of the processes that perpetuate the progressive damage and have learned how to prevent or interrupt them. The progress made in recent years in dissecting pathologic entities and in elucidating immunologic mechanisms offers encouragement that the day may be not far distant when the dialyzer, at least for chronic dialysis, will take its place with the iron lung. Dr. Berliner wrote these words in 1976. More than 25 years later, the day has still not arrived, but at least there is hope, as this book documents. Let's first take a look at dialysis.